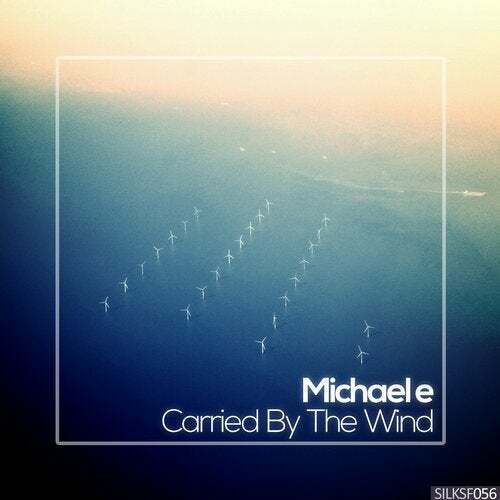 UK producer Michael e has been producing since 2006. He has released 13 albums and appeared on over 300 compilations through his career. On Silk Sofa we're proud to present his new EP called "Carried By The Wind". The title track starts off with a gorgeous atmosphere, including mesmerizing vocal stems, calm percussion elements and lush pad layers. As the track progresses, a wealth of new melodies emerge, such as the breathtaking piano melody and the well-crafted string lines. The break introduces a variation of the piano melody, which goes extremely well with the underlying elements. A variety of beautiful rhodes sounds introduce "My Decision", and a stunning soundscape is quickly established on top. This song includes a mind-blowing number of little details that truly spice up the listening experience -- everything from the detailed percussion structure to the vast array of background synth effects. The final song, "Breathe In Breathe Out", begins with the introduction of a lovely trumpet melody and soothing pad layers. A frisky, yet soft percussion structure and a unique bass melody create a unique groove, and combined with the countless background synth elements a truly hypnotizing soundscape is established. Michael once again shows that meticulous attention to detail is one of his greatest gifts as a producer.